I’ve always thought that taking out 22 of Liverpool’s 26 bus lanes was a backwards step which would inevitably mean later running and more unreliable buses plus it was certainly a poke in the eye to all who hold environmental issues close to their hearts. Yes, it was popular with many car and van drivers; well it would be wouldn’t it! My guess is that it was done to make it look like having an elected Mayor for Liverpool City meant that decisive policy changes could be easily and popularly be made. In other words, it was a political decision with little thought towards the need to challenge how the majority of us need to change our travelling habits. That Nottingham is mentioned in the Echo article is very much to the point because that city is one that’s leading the charge to change the way its citizens move around and make those movements more sustainable. 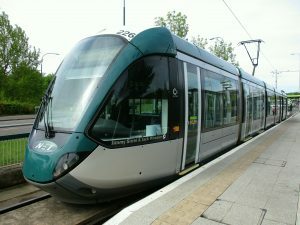 It’s a long-term process for change but if Nottingham’s trams are anything to go by the changes are all for the better. A Nottingham NET Tram at the Phoenix Park terminus. 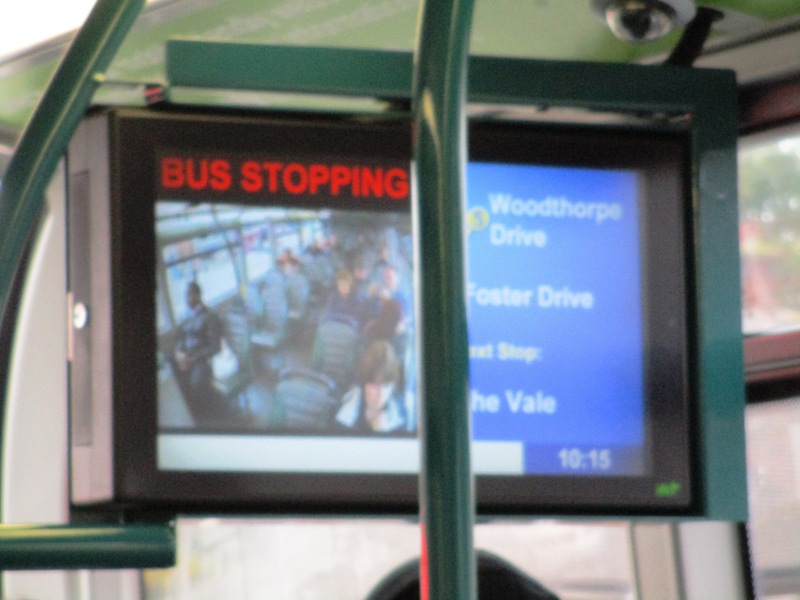 And Nottingham’s buses are pretty good too and seemingly reasonably reliable because of bus priority lanes and accurate on-time information about them. The bottom line is that since the failed Merseytram project Liverpool has not had a plan to make its public transport and particularly its bus network 1st class for modern day use and indeed expectations. Yes we can have a complete restructure of our bus network akin to re-regulating it (as Merseytravel are inching towards and I agree with) but if the infrastructure is not there to produce fast, reliable buses that go where people want them to go then those that can afford to will continue to use their polluting cars and accept that sitting in traffic jams is just the way that it is. Those who can’t afford to run cars or don’t wish to run cars then have no choice and are saddled with a dysfunctional bus network to get them around the city. No, backing out of bus priority lanes was a backwards step. It got some short-term political gain but for long-term congestion and poorer transportation in the city. Not clean, not green, no fast efficient buses, no vision for transportation in a thriving city. Now go look at Nottingham and see how things can be done……..